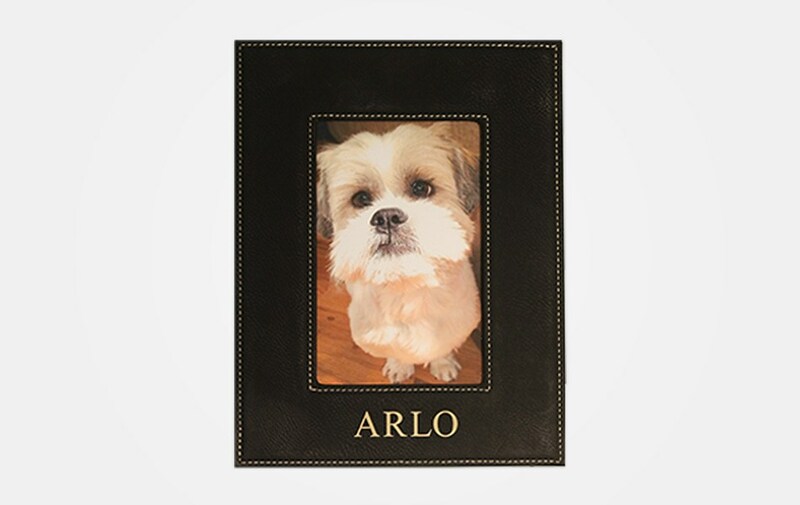 Other than the rich black color, the only difference between this and our brown faux leather frame is that the engraving is done in a gorgeous gold color. Available to hold either a 4 inch by 6 inch photo or a 5 inch by 7 inch photo. For an additional $10 we can engrave your pet’s paw print on both sides of their name.